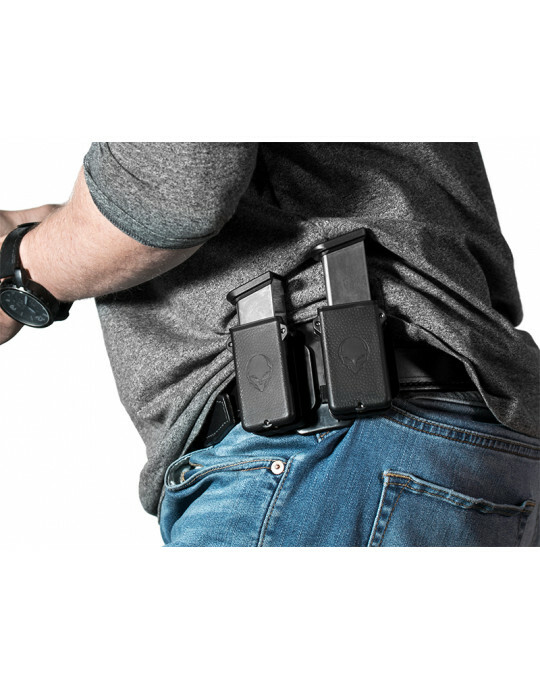 Want to conceal while still carrying outside the waistband but don't want to wear a jacket the whole year? 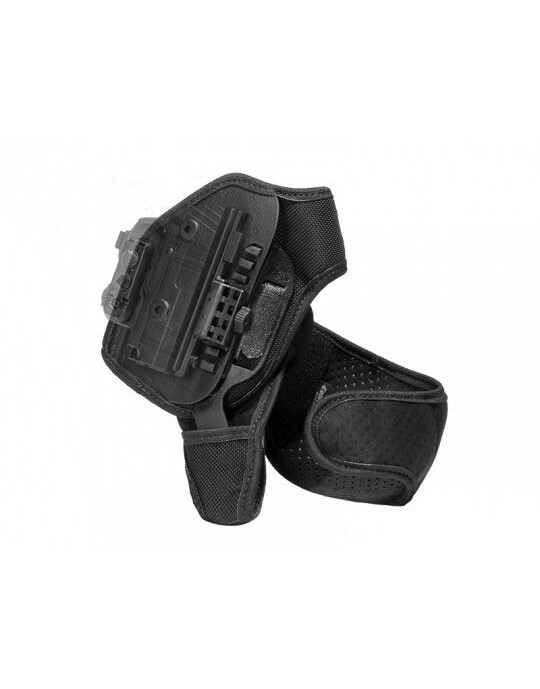 We have the solution for you: the ShapeShift Shield 45 Belt Slide OWB holster. 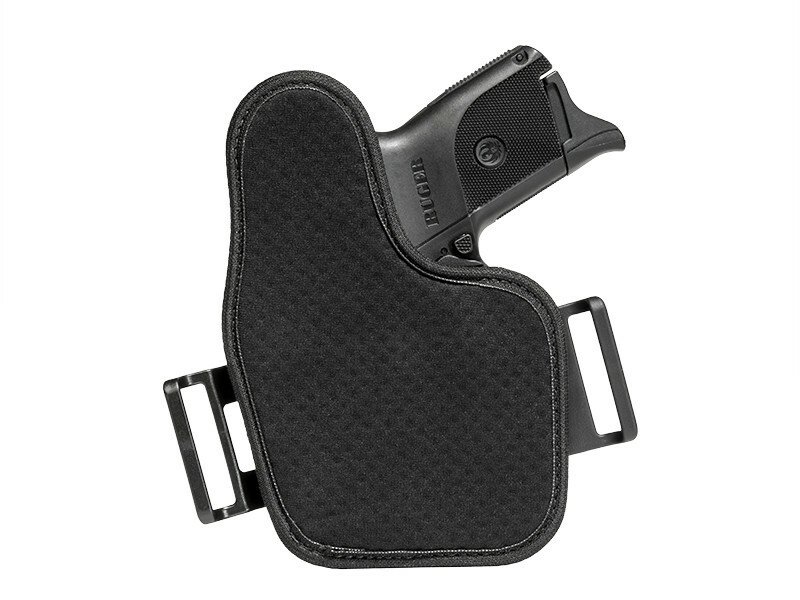 This holster rides high, tight and comfortable. 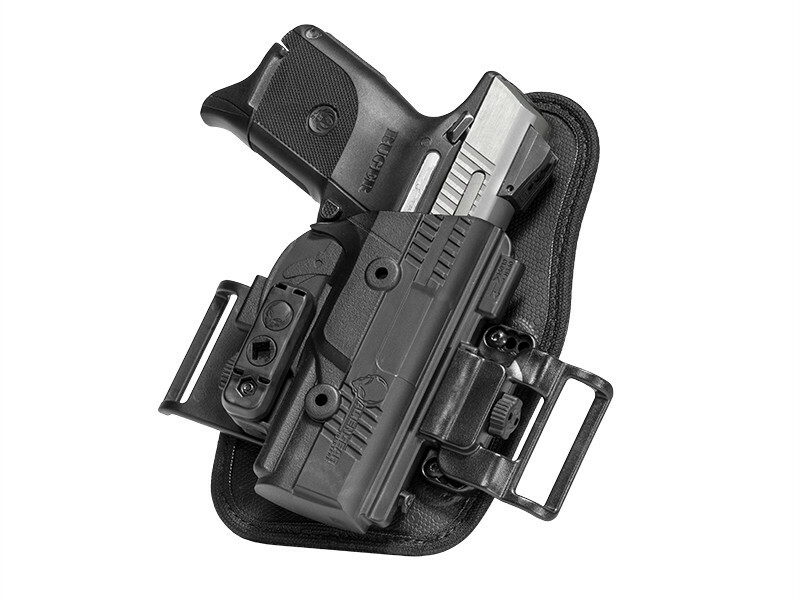 Fewer layers are needed to conceal this holster than might with other designs. 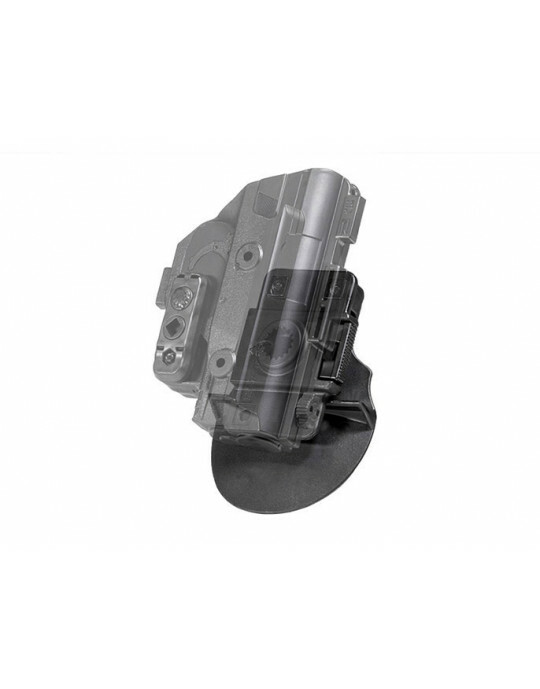 You won't have any issues with comfort and few other Shield 45 OWB designs offer the same quality of fitment and retention. 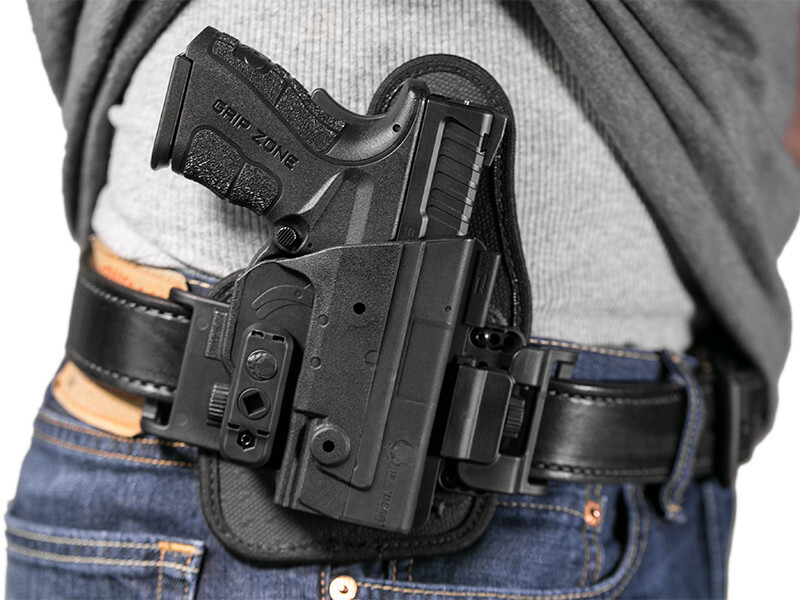 OWB concealment is only possible if a holster rides high enough and close enough to the body to be covered with minimal layers. 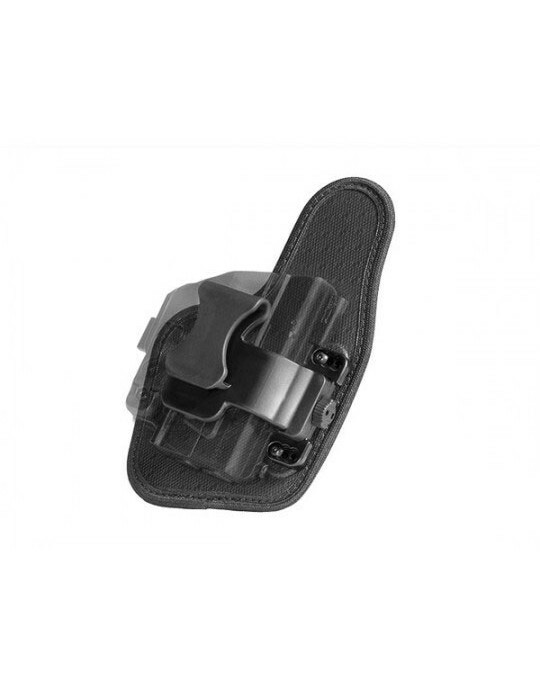 The belt clips on this OWB Shield 45 holster are located just aft of the trigger guard, which keeps the gun riding high. The flexible, durable backer flexes with your shape to fit tight to the body. However, you won't have to worry about durability - the core of the backer is made of layers of spring steel and woven ballistic nylon. This makes for a holster that will carry through years of faithful service. Gone are the days when you have to rely on a thumb break as the sole source of retention. The fitment of this Shield 45 concealed carry holster is custom, as it's custom-molded for this make and model of pistol. Retention is fully customizable, as you can dial it in for the perfect hold on the pistol for you. 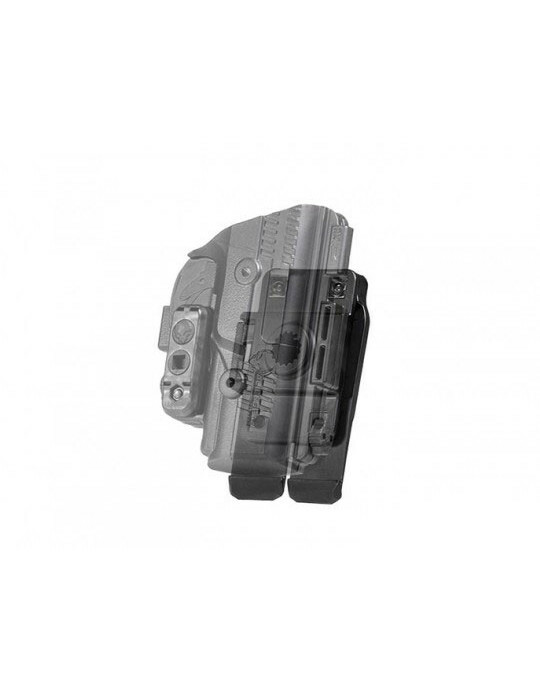 You can also rest easy knowing this holster comes backed by Alien Gear's Iron-Clad Guarantee, one of the best product guarantees in the industry. 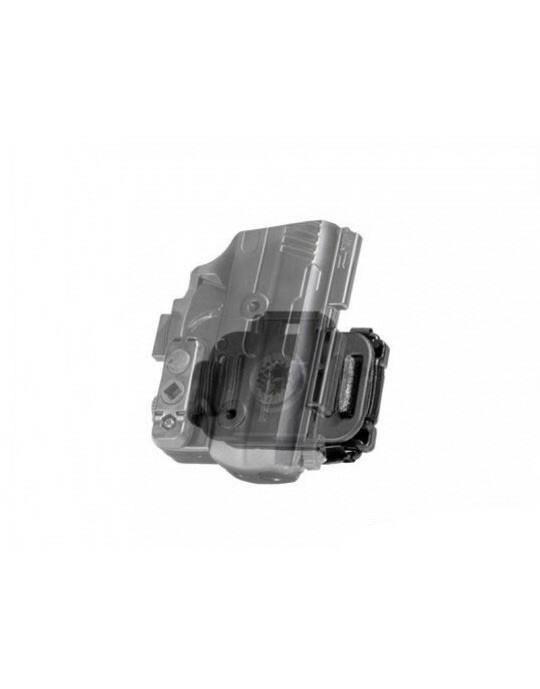 We start by giving you the first 30 days to return the holster for a refund if unsatisfied. 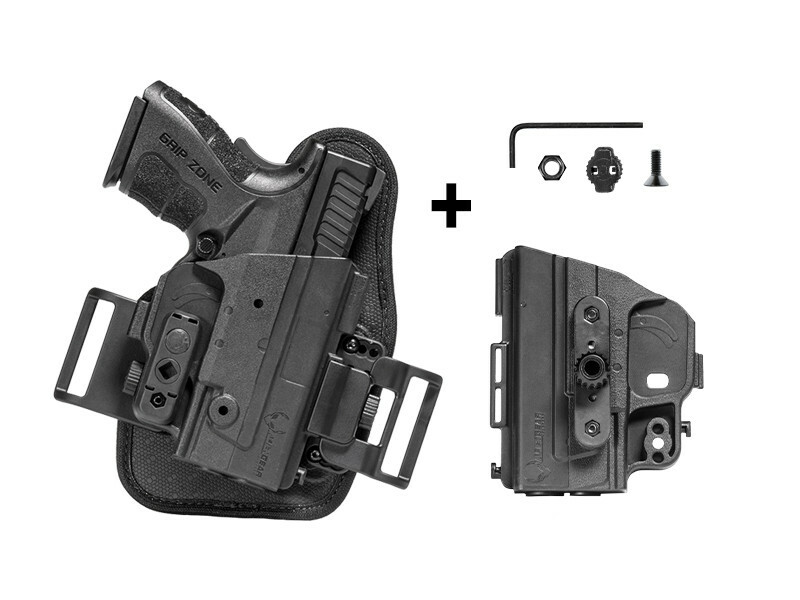 After that, you also get a full and comprehensive warranty on the holster and all components. Ready to shift to a better carry? Get your trial period started right now!